All the love in the world, however, can’t help with navigating and funding a college education. Sarah’s parents didn’t go to college themselves. Her father was a truck driver; her mother waited tables. Still, Sarah did make it to college, and far beyond. She would eventually earn an undergraduate degree and then a Master of Public Health degree, paying for them through student loans and her working full-time as she was attending school. She is now in her second year of the Ph.D. in Epidemiology program at the School of Public Health. The story is more complicated – and better – than that, she says. It’s a story of the systemic hurdles that are often in front of first generation college students, and how important it is to have key people in your corner along the way to help knock down those hurdles. Later, Kimberle Chapin, M.D., the director of the diagnostic molecular lab at Rhode Island Hospital in Providence, saw Sarah’s application for a clerk job in her laboratory and instead hired her as her research assistant. Chapin recognized and removed significant barriers to pursuing a career in research by listing Sarah as a co-author on peer-reviewed articles and supporting her travel to present at national conferences. While these important people have helped her break down barriers, Sarah also embraces the reality of those barriers – and believes she will be a better public health researcher as a result. Because of her working class upbringing, she understands the realities of many people’s lives – from how difficult it might be to find fresh fruits and vegetables for their families to worrying about paying the next month’s rent, or next term’s tuition bills. And she understands how that can affect people’s health. 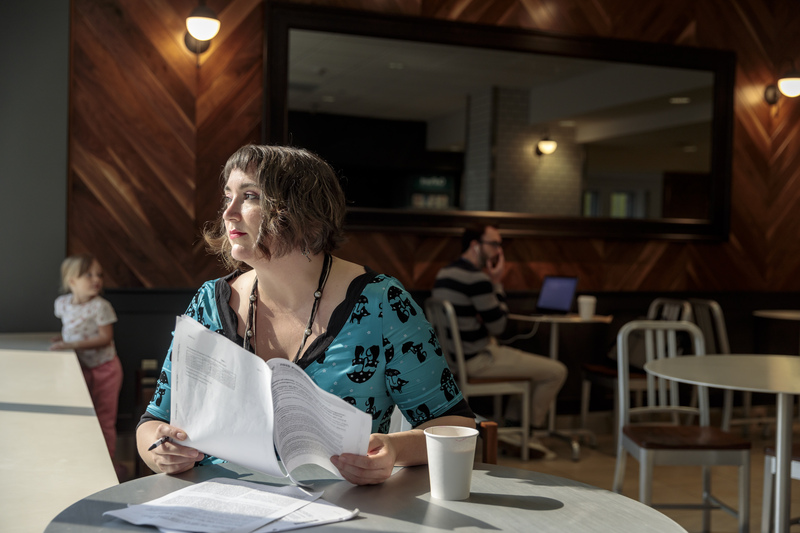 For her Ph.D. dissertation, Sarah is looking at mental and physical health issues in “tipped workers” — workers who in many states are legally paid less than $3 per hour and depend on highly variable tips from customers to make ends meet. Sarah plans to investigate whether policy changes that would increase the minimum wage for these workers – particularly low-income women – could mean they would be less likely to have depression or anxiety. She will also examine the potential impact of such a policy change on the birth weight of their children. The public health profession will only benefit by having more students like her entering the profession, Sarah says. That’s why she so appreciates the people who have helped to level the playing field for her. It’s also why she’s excited about the School of Public Health’s Dean Scholarship Fund, which will award scholarships to first-generation college students from lower-income families and more diverse backgrounds.